Thyme is a hardy perennial that pretty much grows itself. It is drought tolerant so too much moisture will rot the plant. Thyme can grow well indoors if given a bright, sunny window. Prune hard in early spring to prevent the plant getting too woody then continually harvest to encourage new growth. 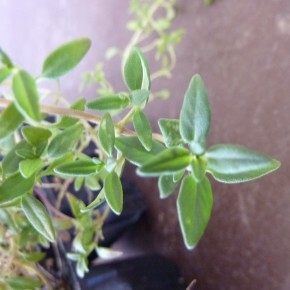 Thyme is a nice to add to tomato sauces, cheeses, eggs and vegetables. It can also be used to flavour breads,vinegars, marinades, sauces and is a part of the classic bouquet garni. Apparently thyme can speed the recovery of a hangover! !